With the second crash of Boeing’s 737 Max, governments around the world have grounded the jet. While these events are a human tragedy first and foremost, they also comprise a crucial marketing study, an intersection of public relations practice and product life cycle (PLC) management. Boeing is suffering a major PR crisis with the company appearing more concerned about profits than people. The damage to Boeing’s reputation began with the crash of a Lion Air 737 Max in Indonesia in October 2018. 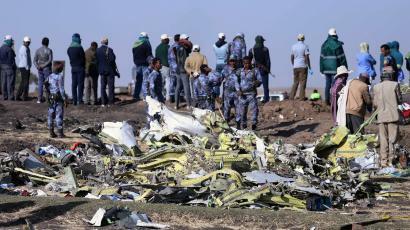 After the loss of all 189 passengers and crew, investigators learned the jet had control problems on its last flight before the crash along with sensor and instrument failures during its history. All issues link to the Manuevering Characteristics Augmentation System, known as MCAS, software designed to neutralize the aircraft’s tendency to pitch its nose upward, preventing potential stalls. Many pilots were unaware that MCAS was added to the new 737 Max. When preliminary investigation suggested MCAS sent the Lion Air jet into an unintentional steep dive, Boeing stated they would send advisories on how to prevent the flight control error. In March 2019, an Ethiopian Airlines 737 Max crashed, killing all 157 onboard. Experts soon blamed a MCAS-triggered terminal dive, similar to the Lion Air disaster. Nations around the world began barring flights of the 737 Max. The United States, Boeing’s home country, held off such a ban, prompting accusations that Boeing was exerting political pressure to keep its jet flying in domestic skies. Additionally, Boeing was accused of being too cozy with the Federal Aviation Administration (FAA), the federal agency overseeing air safety and the air worthiness of planes produced and operated in this country. Boeing’s PR crisis intensified before the United States stopped 737 Max flights as well. Boeing’s 737 family is the top-selling passenger jet with more than 10,000 built. The jet’s original version entered service in 1968, itself derived from an even older design, the Boeing 707 whose roots date to the 1950s. The 737 represents remarkable management of the product life cycle (PLC), the growth, maturity and decline of offerings. The only way to stave off decline is to update the product to capture new customers, which Boeing has done over the decades by increasing the capacity, range, and fuel economy of successive 737 versions. The latest 737, the Max, has been Boeing’s fastest-selling plane with 5,000 orders placed. But the company’s seemingly prudent decision to sustain its workhorse may have been a fatal choice. In the 1960s, the original 737 was designed to sit close to the tarmac to facilitate passenger access via a built-in staircase and easier baggage handling, all before jetways and luggage beltloaders were commonplace. The 737 Max’s new engines were larger than previous powerplants, requiring different placement on the wings to give the low-slung plane sufficient ground clearance. In turn, the engine configuration created the flying characteristics that could cause the nose to rise. Counteracting the physical design issue, MCAS software would force the nose down when sensors dictated. Boeing could have created a completely new single-aisle jet, but competition from its European rival Airbus spurred the company to accelerate time-to-market by modifying its successful 737 yet again. Purchasing a business product is categorized as either a new buy, a modified rebuy, or a straight rebuy, a spectrum of choices from the customer choosing a product for the first time to replenishing one already in use. In the middle is modified rebuy, the customer selecting a currently used product that has been changed. The purchase of new aircraft is typically seen as a new buy as systems and technology vary significantly between models, even within an update of an existing line. Boeing attempted to make the 737 Max a modified rebuy in the minds of customers by stipulating systems be as similar as possible to the previous 737 generation, requiring limited retraining of pilots, an extra sales incentive for airlines that were already flying 737s. Abbreviated instruction in the 737 Max is now being blamed for pilots’ inability to counteract an errant MCAS sending the plane into an automated dive. The tragedy of the 737 Max is a powerful lesson in the seriousness of marketing. The discipline is not trivial, not merely a swirl of flashy ads and pushy sales pitches, as many mistakenly believe. Product design, comprehensive information, and customer safety are core components of marketing. Christian marketers must keep their duty to customers sacred. In Boeing’s case, that duty has life-and-death consequences. Compare Boeing’s response to the 737 Max crashes to Johnson & Johnson’s response to the Tylenol poisonings in the 1980s. How should Christian marketing and communications professionals invoke the latter as a strong example of crisis management when crisis threatens their organizations? Previous When Does Crisis Management Start?